What is a Mortgage Payment made up of? Applying for a home loan can be intimidating; especially if it's your first time buying a home. 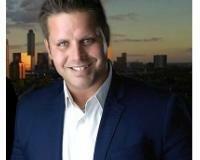 It's not so scary once you break it down and know exactly what goes into the mortgage payment. 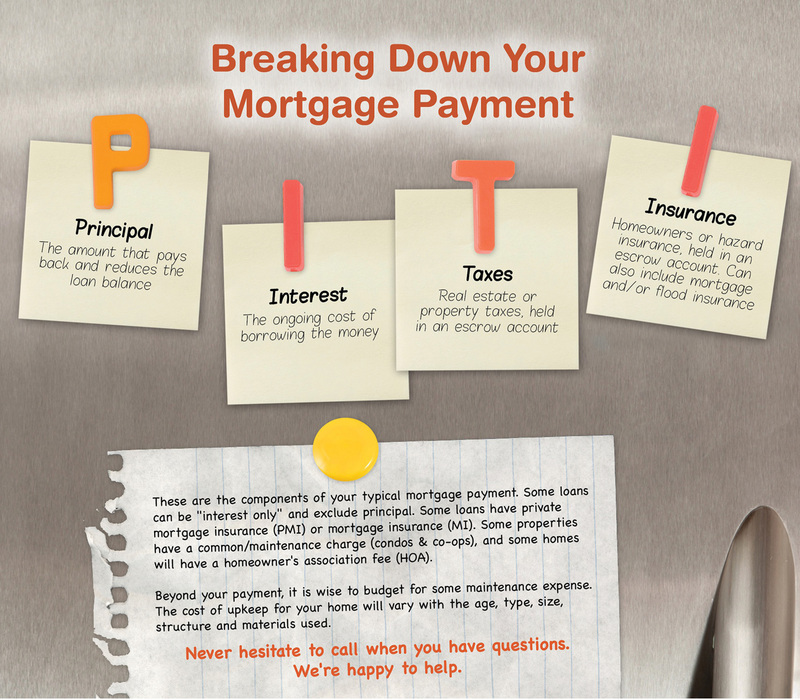 The first part of your mortgage payment is the principle; making up the "P" in PITI. The principle is your loan amount. The second part of your mortgage payment is the interest. That's basically how the banks get paid for loaning their money. Interest makes up the first "I" in PITI. The "T" in PITI stands for taxes. Your property taxes will be split up into 12 month payments which will be due as part of your mortgage payment. When you pay your monthly taxes in your mortgage payment, your taxes will be deposited into an escrow account to hold the tax payment until the beginning of the next year when your property taxes are due. The last part of your mortgage payment is Insurance which makes up the last "I" in PITI. Homeowners Insurance is required by your mortgage lender to protect you and your asset; your home. Your homeowners insurance is also paid monthly within your mortgage payment. The montly homeowners insurance amount is then deposited into your escrow account (with your property taxes) and held until your policy is up for renewal. Some homeowners will also be required to pay PMI or Private Mortgage Insurance to protect the bank & homeowner in the event that the house is lost in a fire or something similar. PMI is similar to gap insurance on a car.